R.O.P.A. premieres ‘Socarrel’ at the 20th edition of Fira Mediterrània Manresa - R.O.P.A. The weekend from 6th to 8th October, R.O.P.A. 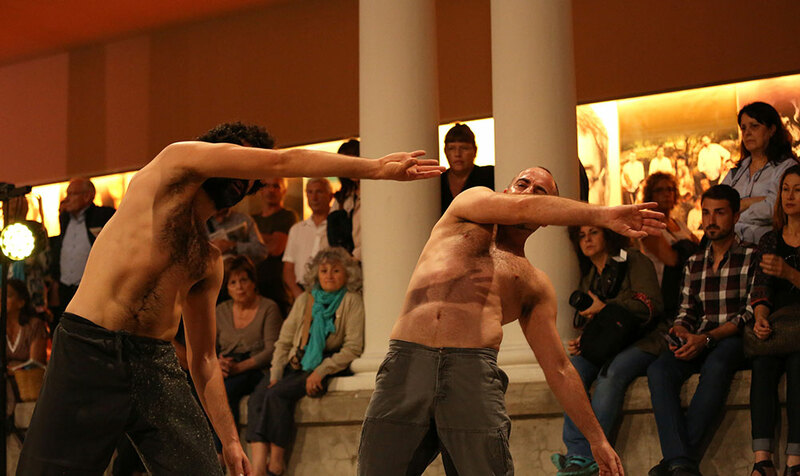 – Roberto Olivan Performing Arts premiered its new performance, Socarrel, at the 20th edition of Fira Mediterrània Manresa. Socarrel was presented as a creative laboratory. It is a project that outcomes of fusing movement, electronic music and traditional polyphony. Directed by the choreographer and dancer, Roberto Olivan, this performance has counted with the collaboration of a large cast of artists from a wide variety of artistic fields: the dancer Magí Serra; the Belgian electronic artist, Laurent Delforge; the Ebre-based ceramist, Joan Panisello, and three members of the quintet of Occitan vocalists Vox Bigerri. Socarrel is a co-production between Fira Mediterrània and El Mercat de les Flors. Fira Mediterrània Manresa is a Performing Arts fair rooted in Mediterranean tradition, with two main areas of focus: popular culture and world music. The performance could be seen at the patio of Teatre Kursaal, in Manresa. You can visit the website of Fira Mediterrània Manresa for more information.